Today I did something I’ve never done before: I flashed. Don’t be alarmed – that’s a shorthand that I think I’ve just invented for writing flash fiction. I don’t mean that disrespectfully – I LOVE pound shops, where you can track down all kinds of intriguing and useful items for the tiniest investment. The standard length of a short story is usually 2,000-3,000 words, but flash fiction applies the incredibly economical limit of around 100 words. Sometimes a few more, sometimes a few less (there are 99p shops too, after all). But you get the idea: in flash fiction, less is more. As anyone who has commercial copywriting experience knows, writing the short version of a text can take much more time than the long version. Condensed thoughts don’t start out condensed. So don’t assume you can dash off a 100 word story in a moment. If you do, it won’t be much good. It takes hard work to craft an effective flast fiction story, complete with conflict and resolution, all within just a few sentences. Every word has to work hard and earn its keep, each one an essential brick in the structure of the story. When it’s done well, it has the lyrical quality of the perfect poem, the emotional punch of a novel and the beauty of a sculpture. Don’t underestimate this format just because it’s small. There’s no room for sizeism in short form fiction. I discovered Flash Fiction on 16th May. 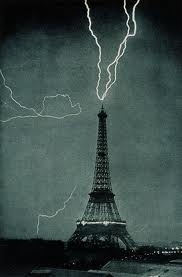 I can be that precise about it because it was National Flash Fiction Day. But Flash Fiction Day was quite the opposite. The organisers generously offered free, no-obligation downloads of flash fiction e-books. I got my Kindle on the case and imported a selection, thinking flash fiction would make the perfect speedy bedtime reading for people like me who always end up going to bed much later than they should do. A story a night for the next two and a half months – excellent. 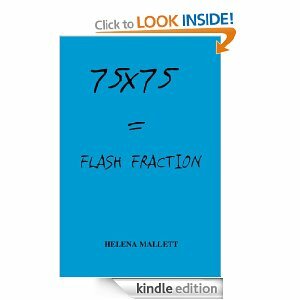 That night I got stuck into 75×75 = Flash Fraction by Helena Mallett. This volume does what it says on the cover, offering 75 stories each honed from just 75 words. I was up till 2 in the morning, reading all 4125 words. I laughed, I cried, I admired. The book was masterful. Ever since, I’ve been waiting for the inspiration to try it myself, though in awe that I could produce such perfect pieces. Then, flicking through Twitter earlier today, I came across 99Fiction, a flash fiction website with a free online competition for stories of 99 words or less. Its deadline is midnight tonight. Earlier in the day, I’d had an intriguing encounter with a stranger that I couldn’t stop thinking about. Those two bits of serendipity combined to trigger my pen. Numerous drafts and ponderous word-counts later, I emailed off my flash fiction story. No, I can’t reproduce it here – yet – because if you read it in the next fortnight, I’d have to kill you. (Entries close at midnight, British time, but in the two weeks before they announce the winner, you’re not allowed to publish it elsewhere.) But I will in due course. In the meantime, if you like writing, I’d encourage you to have a go. Whether you’re a blogger, a novelist, a commercial copywriter, a business report writer, or even just Angry of Tunbridge Wells who likes to fire off a punchy letter to The Times every so often, it’s a great exercise in the effective use of words. It will also remind you what a rich language we English-speakers are privileged to have. By my reckoning, you’ve got just an hour and a quarter to harness your 99 words and send them off to fictioncomp@yahoo.com. That’s almost a minute per word. What are you waiting for? P.S I was wrong about Eat More Porridge Day. There is apparently a World Porridge Day. Scotsmen of the world, unite – you have nothing to lose but your constipation. 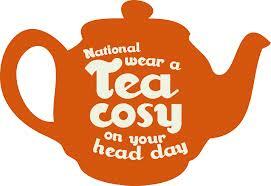 It’s on 10th October. You have been warned. P.P.S. Since first writing this post, I’ve penned another Flash Fiction story, which I’m using to launch the new Fiction section of this website. Click here to jump straight to it. 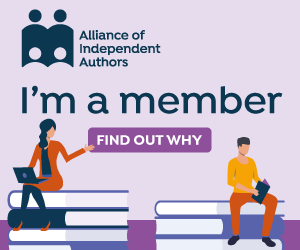 If you’re a writer, you might also be interested in my website that offers free promotional advice to authors: Off The Shelf Book Promotions and my new book Sell Your Books!, about to be published by SilverWood Books. Wow. What a challenge. Think I’ll check this one out. Thanks Debbie. It is fun – like trying to write a novel that would fit on Twitter! Enjoy!